Bladder tanks are commonly used to store and proportion foam concentrate in foam systems. 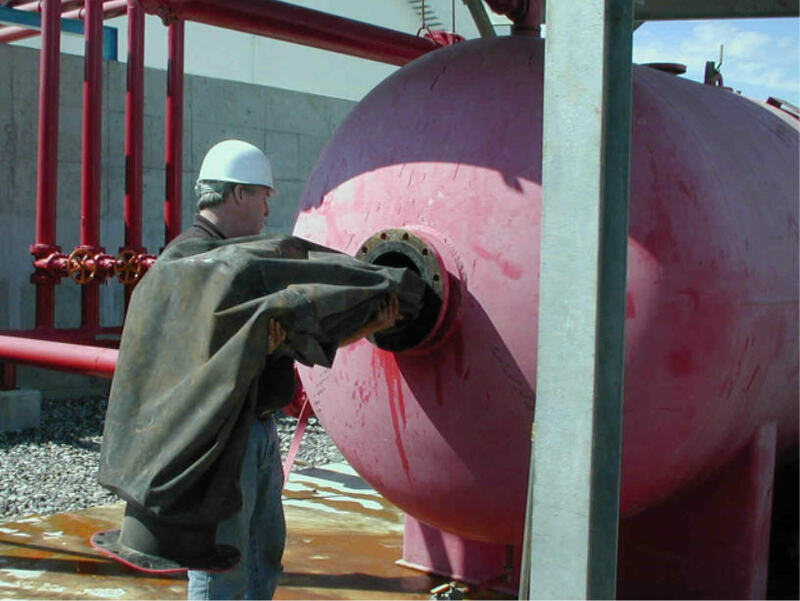 A bladder tank consists of a carbon steel tank with an inner elastomeric bladder. Foam is stored inside this bladder while water is directed through piping to the area between the steel tank and the bladder. The resulting water pressure is used to force the foam out of the bladder and into a controller which then mixes the correct concentration of foam (which is typically 1 to 6 percent) into the water. 1) A tear in the bladder – foam concentrate can leak through the tear into the water surrounding the bladder. Even a small tear in the bladder can render the system inoperable. 2) A missing isolation valve or an isolation valve that was not closed. The foam isolation valve prevents foam concentrate from siphoning through the controller and into the shell area. 3) Improperly filling the bladder tank by filling the shell area with foam instead of the bladder tank. Dyne offers bladder water testing. Bladder water can be sent to our laboratory using our standard foam test kits. Dyne runs several tests on bladder water to determine if there is any foam concentrate present and if there is, at what concentration. 1) Refractive index – the refractive index is often used to measure the concentration of foam concentrate in water. In a bladder system however, substances other than foam can contribute to the refractive index value – such as oils used to lubricate the bladder. 2) Density – the density value along with the refractive index can be a better indicator of the presence or absence of foam. Generally an elevated refractive index yet a density similar to water indicates no foam but the presence of lubricating oils while an elevated refractive index and density is more likely to indicate foam concentrate. 3) Expansion, Film Formation and Surface Tension – If the refractive index and density are both elevated, Dyne goes a step further to determine if this elevation is being caused by foam or some other substance. By testing a typical property of foam such as expansion and determining the solution is expanding when agitated, we can be assured the sample contains foam. 4) Concentration – by taking into account the results from the tests listed above, Dyne provides an estimate of the concentration of foam in the bladder or shell water. If the concentration is significant, the system can be further tested to determine why foam concentrate is getting into the shell water. 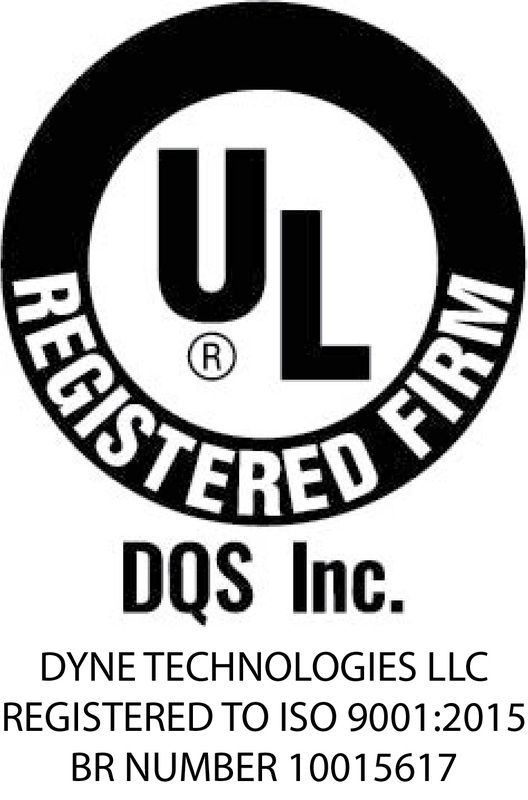 If you are interested in sending bladder or shell water to Dyne for testing, or have additional questions, please give us a call at (800) 632-2304 or e-mail lab@dyneusa.com.